Activists and anti-Trump protesters are set to host a series of rallies in Los Angeles, Chicago, Atlanta and New York City on Presidents Day. 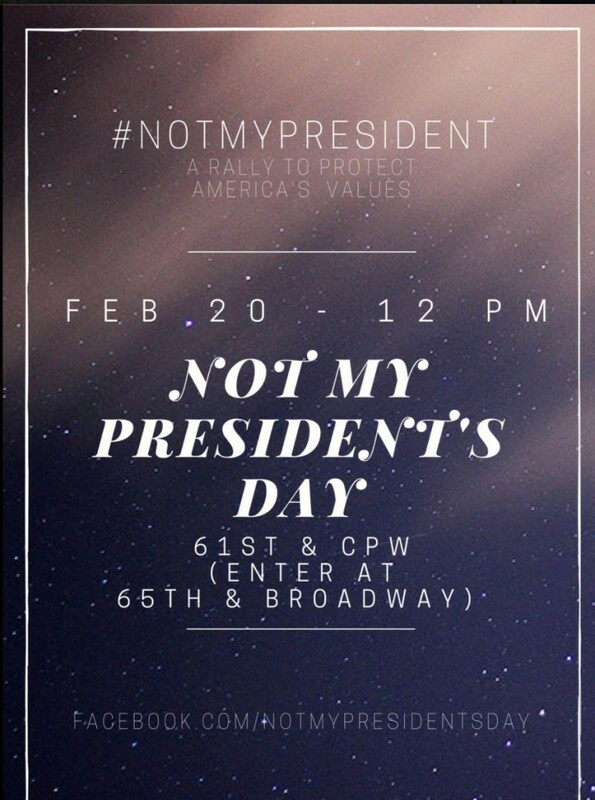 The Facebook flyer for the New York City "No My President" Rally. Tomorrow is George Washington's birthday, better known as Presidents day. But this year there are a lot of Americans who aren't too proud of their president. Activists and anti-trump protesters are organizing all over the country and using tomorrows holiday to let their voices be heard under the banner "Not My President." Thousands are expected to turn out. “We do not accept Donald Trump as our president because he does not represent us,” said Nova Calise, one of the New York event organizer to USA Today. “No one expected this to get so large,” she said, citing the power of social media. Rallies are scheduled to be held in Los Angeles, New York City, Chicago and Atlanta in protest of the Trump administration and it's polices. Close to four thousand are expected to attend the protests in LA and Chicago, according to Facebook invites. New York is preparing for a possible thirteen thousand demonstrators in Columbus Circle, following today's #IamMuslimToo rally in Times Square.